Responding to the European Commission’s low-emission mobility strategy announced recently the Freight Transport Association FTA has said that the proposed measures are a step in the right direction to reducing freight carbon emissions. Elements of the Communication have been welcomed by the FTA which noted that the strategy does not focus on only one or two specific measures but lists a variety of measures, recognising that there is not just one solution to help decarbonise transport. Said to ‘set clear and fair guiding principles to Member States’ in preparation for the future, the low-emission mobility strategy frames the initiatives that the Commission is planning in the coming years. Pauline Bastidon FTA Head of European Policy said: “There is no one size fits all approach to reducing freight carbon emissions – a whole package of operational and technical measures are required for the sector to make a contribution to climate change reduction targets. 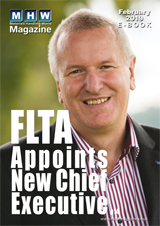 FTA did note however, that two fundamental issues were not sufficiently emphasised in the strategy including grants to support the take up of new technologies, and changes to vehicle weights and dimensions. Ms Bastidon added: “The Commission needs to ensure that financial instruments providing guarantees to private investors are not the only source of funding available for the take-up of new technologies, and we would also like to see changes to vehicle weights and dimensions considered as a fundamental measure to reduce carbon emissions. The Association also praised additional measures outlined in the Commission’s strategy including forthcoming initiatives aimed at increasing the interoperability of electronic tolling systems in the EU, which would reduce costs and administrative burden for end users, and at increasing of competitiveness of multimodal solutions.